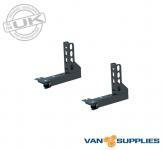 Manufactured from zinc plated mild steel. NOT suitable for EasiBar roof bars. Ladder clamps ensure safe and easy transportation of ladders when these are mounted to a roof bar set. 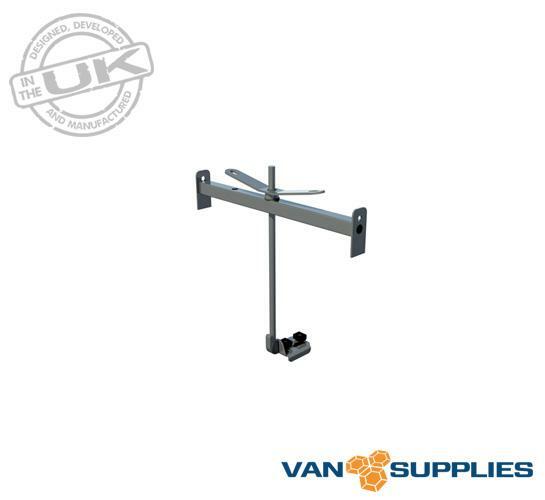 Using high quality, zinc plated mild steel the Van Supplies ladder clamp is designed to stand up against the harshest of weather conditions giving an ultra safe operation through the entire lifetime of the product. With the ability to fully lock the winding handle with a padlock (not supplied) you can be confident that the Van Supplies ladder clamp is capable of guarding against theft whilst offering the security of tightly securing your ladders to protect against cross winds or falling off in transit. Our Lockable Ladder Clamp is supplied as a single clamp. We recommend that you use two Ladder Clamps for fixing ladders to your vehicle. Should only one Ladder Clamp be used there must be a secondary fixing in place in order to safely secure and stop ladders from shifting during transportation.